The pilot gazed off into the clear blue Midwestern sky for a final safety check to make sure no planes were coming in. Satisfied all was clear, he thrust the throttles forward. The plane’s powerful engines roared. The twin-engine Comanche started to roll, slowly at first, then quickly gained momentum. The pilot’s blood raced as the ground flew past him. An excitement he found nowhere else coursed through his veins. He pulled back on the column, knew the moment the wheels left the ground, and smiled in wonder—no matter how many times he did this, the rush was always the same. The plane soared up past the terminal, up over the hangars and the land-locked cars in the parking lot below. As the Comanche gained altitude, the pilot marveled at the sleek phenomenon of speed slowing down. He felt rather than heard the loud “bang” in the starboard engine. The Comanche shuddered and careened to the right. The pilot wrestled with the controls—trying to make the adjustments to the flaps, ailerons, and rudder—trying to bring the Comanche back to level flight. Sweat beaded on his brow. An errant lock of hair fell down over his eye. He slammed his fist against the engine restart button. Nothing! “Damn!” He didn’t have the altitude for this! He didn’t have the speed. 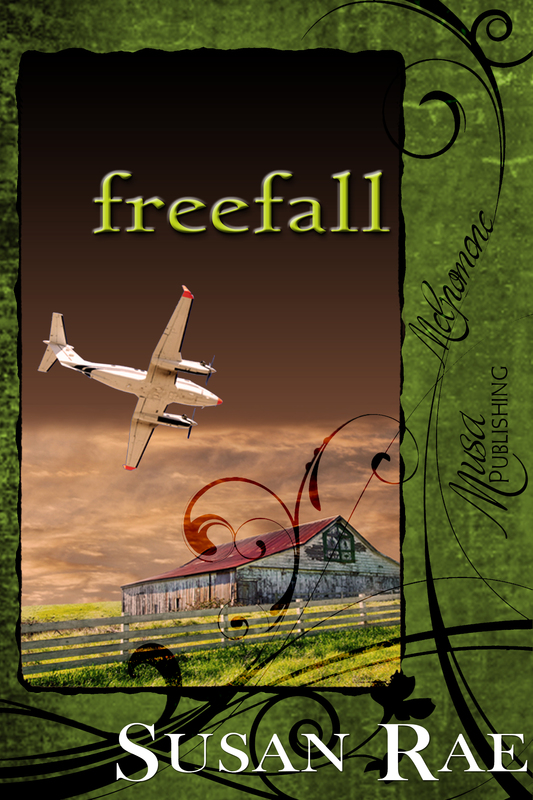 The plane groaned, fighting the stall, fighting the frantic movements of his hands and feet. He had two options: bring the plane back to level flight, straighten the turn, lengthen the glide, and pray it picked up enough speed to climb—if he didn’t succeed, he’d crash into the apartment complex northeast of the runway—or, work with the plane, letting it bring him back to the airport, to an almost certain crash. The words “Take no collateral damage” echoed in his mind. He knew there really was no decision; but even as he stopped fighting the turn, the north wind grabbed the left wing, further aggravating the attitude of the Comanche. The plane careened back past the control tower. The ground raced back toward him. He stared at it, mesmerized by the sensation of speed returning. He could taste his own salty sweat on his lips, could almost smell the green grass of the airfield as it rushed toward him, and an icy fist of cold certainty seized his chest. Just like the rocket grenade that had blown his helicopter out of the sky inAfghanistanfour years ago—this was no accident. Seconds later, the plane met the earth, cartwheeled, and burst into flames. Kate looked over to them. Almost as one, they turned to gaze at her. Both seemed to hesitate, then the nurse smiled, but her eyes took on a sympathetic cast. Kate’s heart skipped a beat. “My brother, Keith…is he…?” Her words trailed off and she swallowed, unable to voice her greatest fear. The trip from San Francisco to Milwaukee had taken a long, grueling, and quite turbulent seven hours. During her layover in Denver, she’d checked in with the hospital. Keith was in surgery, and although his condition was grave, he was still alive—then. Kate’s knees began to buckle. She hadn’t realized until now that she’d been holding her breath. The man reached for her, grabbed her arm, steadied her. …Everett Larsen stepped up to the glass partition, careful not to draw attention to himself. Glancing at the monitor, he studied it briefly, then allowed his gaze to settle on the woman seated beside the bed. So this was Keith’s little sister, he thought. He knew he shouldn’t have allowed himself to come face to face with her earlier. It was a mistake. Still, despite the shell-shocked look in those blue eyes, there was no denying the fact that Kate Reynolds had blossomed into one helluva woman. His cell phone vibrated at his side. Cell phones weren’t allowed in this part of the hospital—he should have turned it off. He glanced at the incoming number. He’d make it short. “Larsen here,” he said quietly. He listened to the guy on the other end for a few seconds. Returning the phone to its holster, he turned back to the room. This time it was Keith he studied. Just what had his good buddy Keith been up to?